Flavored with rasberry and blackberry. Dry, and somewhat tart. 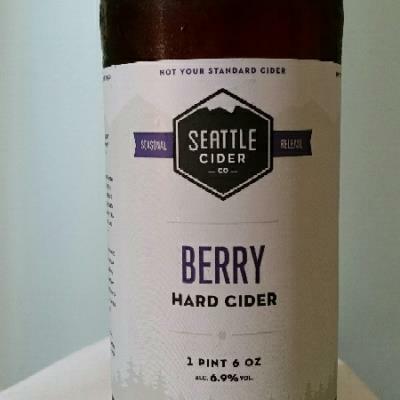 This is a new berry cider from Seattle Ciders. It is apple with blackberry, blueberry and rasberry flavor added. You can really taste the blueberry. It's a nice gentle tart berry flavor. it has a light body and nice essence (nose) as you drink it. Although, I like more body, the blueberry flavor sweetens up the tart of the other berries. It's nice.